Unsatisfied with your current MM2H agent? Change to our MM2H agency today! We have been in the MM2H business for the past 16 years, we can serve you and family better with our complete support and services. Nothing shocks us on any issues and problems you and family may be facing in Malaysia! We are here to support you! Here is the Guide to Change MM2H Agent for your better understanding. 1. We have a wide and complete range of support and services from visa extension right down to major one’s car import. Check out our list of support and services, click here! 4. We provide professional advice and navigation on your business set up and incorporation recommending the right entity, structure and types of licenses you may need to meet your objectives in Malaysia. Setting up the wrong entity will incur huge losses and tedious procedure to close it. You can also receive ongoing advice will help you to embrace of any new changes in the Malaysia regulatory, legal and tax matters to ensure your business set up able to full compliance and well taken care of. 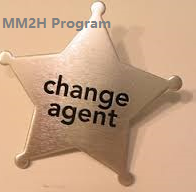 Send us your enquiry today on change of MM2H agent to assist you further to meet your objectives!